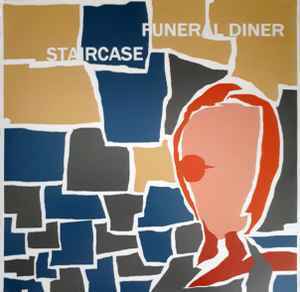 Funeral Diner's side was recorded May 1999 at CCRMA Studios in Stanford, CA, except "Nightbuilders" March 2000-May 2001 at KZSU-FM Stanford and Little Red Wagon Studios in Fremont, CA. Staircase's side recorded at Little Red Wagon Studios in Sept. 2000. 1,000 LP's pressed on black vinyl. 50 with hand stamped sleeves.